DISCLAIMER: It is very likely that the FNN will begin posting episode reviews for Star Trek: Discovery episodes, but this initial article will remain free of any major spoilers, though it will include information about minor details not related to the plot. Read at your own risk. After much anticipation, Star Trek: Discovery launched on stardate 21709.24 with two episodes. US viewers were able to watch the first episode on their standard CBS station. However the second (and all following episodes) was only available via CBS All Access. Non-US viewers need not fear for Trek is available all around the world. Canadian viewers have the option of watching on SPACE network or streaming via CraveTV. Other locations around the world can watch via a Netflix subscription. Star Trek: Discovery (henceforth, “Discovery”) is set in the Prime Universe, though many of its set designs and camera techniques borrow from the recent “JJ-Trek” movies. It is said to take place between the events of Star Trek: Enterprise and Star Trek (TOS), though the first two episodes do not give us an exact time frame or date for its events. Discovery is not the first-time Trek has done a prequel. Enterprise, Discovery’s forerunner, was also a prequel and while a prequel does allow for some interesting exploration and development, it also carried numerous disadvantages. One complaint with the prequel model is that the technology is seemingly more advanced than it “will be” in the future. One example of this is the use of holographic communication versus looking at a video on a screen, which was standard in all previous Trek (with a few exceptions from Deep Space Nine). However, we must remember that back in the 60 and 70s the concept of video-conferencing with someone in such a way was seen as advanced technology. Even in later Trek’s where this was not ground-breaking technology, it was the most economical way to do things. Now with Skype, Facetime, and all the other ways to chat using video, throwing a picture up on the screen seems simple, lazy, and old-fashioned. By using the holographic technology Discovery is doing what Star Trek has always done, saying that the future is more advanced than our present. I don’t know if handheld communicators or talking to another ship on a viewscreen actually impacted technological advancements like cell phones and facetime, but I like the fact that Discovery is saying “the future will be even more advanced” and who knows, maybe in twenty years we will be having conversations with holographic projection of fellow Fed-Space Players. I am also reminded of what it is rumored Gene Roddenberry once said when asked about some changes that happened from TOS to TNG. He said something to the effect of “It was always that way, we just did not have the budget or technology to make it look like that”. I don’t know if Roddenberry ever actually said that, but even if he did not, it is a fair assessment. As for Discovery itself, it is far too early to determine if this the show will be good, great, or a flop. However, it is sure good to see Trek back on the small screen. 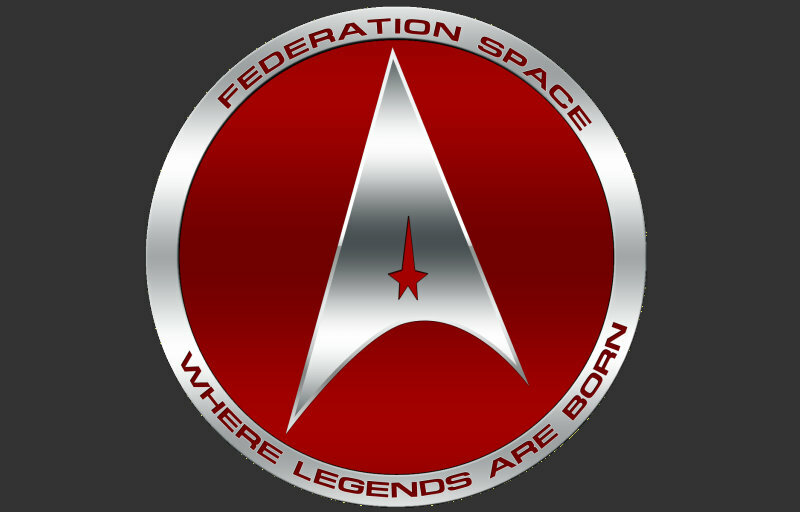 Twelve years was most definitely too long to go without the Federation boldly going where no man has gone before! Fed-Space players, are you watching Discovery? We would love to hear what you think about the new show! Leave us a comment below. Here are a few thoughts from some existing players! “Star Trek Discovery had a new spin on the old trek feel. Pushed the line of NU trek a bit too much, and the Klingons are questionable. Overall a solid contribution to the Trek universe, I look forward to watching more.” – Thike Ch’ezhyrraq, Tactical Officer, USS Columbia.